You could say he was aging gracefully towards retirement. He’d earned it. By the time he was 62 years old, he had sold insurance, been in the US army, worked as a conductor and then as a blacksmith’s helper, and for a time he even had a legal career – that was until he fought his own client in the courthouse. Despite his ever-active career and long life, not many people would have recognized Harland even if he had handed them his passport and drivers license. And yet, within a decade, as he approached 70, Colonel Harland Sanders could simply point to any of the 6000-plus restaurant signs, or the hundreds of thousands of ads, or even the millions of buckets of chicken if he needed a picture ID. 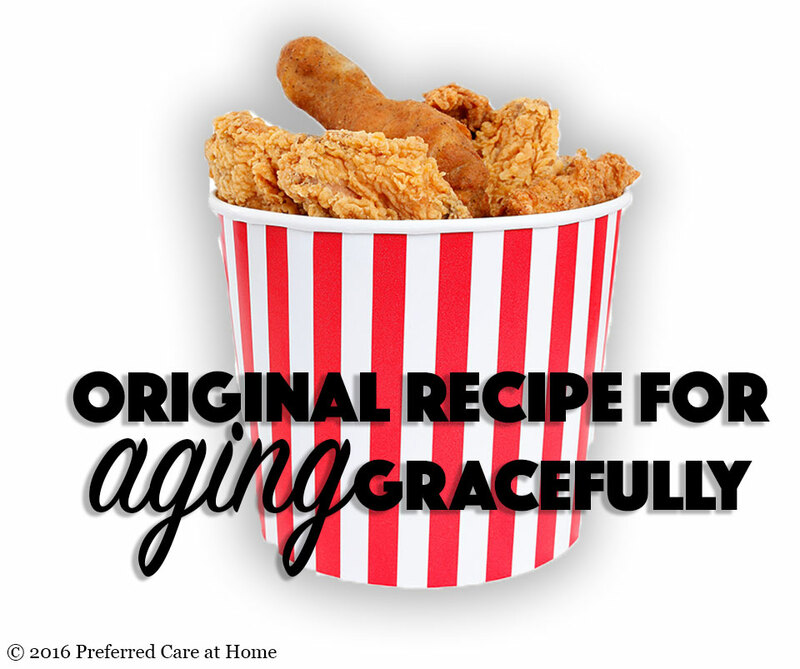 Colonel Sanders’ story and life stubbornly stands counter to our society’s idea of aging gracefully. His is not a solitary example, as we know of others like centenarian Fauja Singh, who competed in and completed a marathon. But it can’t be said enough that age as a limitation to life and its experiences is vastly overrated. And it is worth remembering and celebrating these people who exemplify this idea, as too often are the aged and aging marginalized in a world running away as quickly as it can from wrinkles, grayness, and anything else related to getting older. And irrespective of age, everyone could use a little bit of a confidence boost. So if you’re not already, do your part and encourage the aging and elderly people in your life. Let them know you believe in them and their abilities. And if they need some inspiration, tell them about a certain aging Colonel who decided at 62 to fix fried chicken once and for all.